This year Birmingham Botanical Gardens have teamed up with Xtra Humongous to create their Halloween event: Dr Nerium’s Garden of Ghouls. We are regulars at the gardens as we are members, but obviously our visits normally take place during daylight, so it was strange to be in the gardens at night. In some ways it’s easy for the garden to feel a bit spooky at night as there are always strange noises and our senses are heightened in the dark. 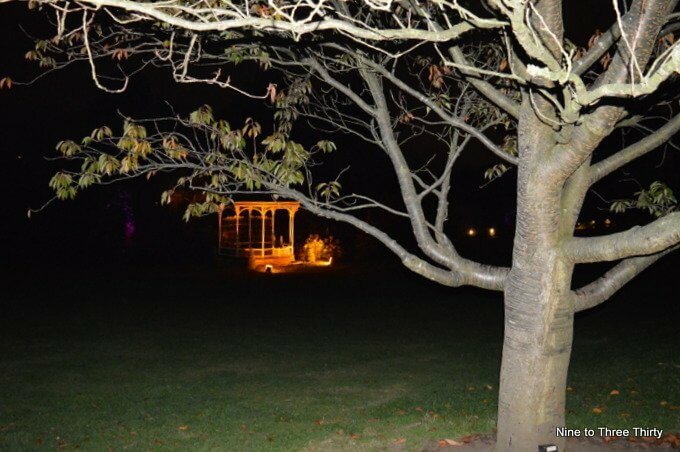 From Friday 26th October until Sunday 4th November 2018 Dr Nerium’s Garden of Ghouls is open for those that want to take a scaremaze trail around the gardens. We were invited to the preview night and got to encounter Dr.Nerium (on the left) and his ghouls before we set out on our walk around the scaremaze. The background story is that in the early nineteenth century, Dr. Nerium started carrying out experiments that led to the creation of some weird, wonderful and unique creatures. It all started when he brought back his first carnivorous flowers from the base of the Peruvian Andes. Attempts at cross breeding with other findings led to fantastical creatures that can only be described as unique. It’s these creatures that you encounter as you walk around the grounds. 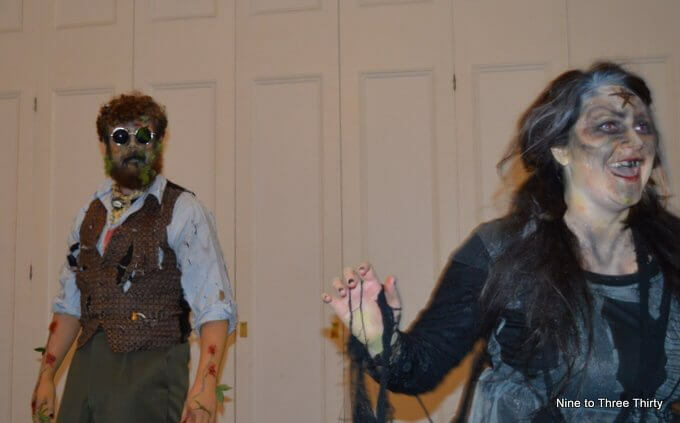 It’s very atmospheric and the actors are well rehearsed – we particularly liked the one of the witches and a ‘zombie’ that had a lot to say to us. The costumes and the props are great and really help bring the experience to life. I did find the story a bit hard to follow at times, but it’s easy to treat it as a series of tableaus and still get a lot of enjoyment out of it. We attended the more scary session which starts at 7pm. Essentially before that it’s the same experience, but the actors have a bit more leeway later to add to the intensity of the experience. H is 11 and we took his friend who is 12 with us and both boys enjoyed the event and didn’t get more than pleasantly scared. I think it’s best to judge based on your knowledge of your child and how they react to scary things when making a decision about whether to go and which session to pick. Our evening was very entertaining and H said he enjoyed it and would recommend it, so Dr.Nerium’s Garden of Ghouls got a rather hard to obtain pre-teen seal of approval. I would happily go again and would enjoy going with adult friends too. From today (Friday 28th October) there will be an entertainment area to go to if you make it out of the scaremaze or you can hedge your bets and wander around before you go in. There will be street food traders, bars, performers, music and circus themed entertainment. What a boring night! We went after 7pm thinking it would be more spooky. Only scary for five year olds. Utter waste of money. Don’t waste your time. Wow, such a great place. This Halloween, my sister and I dressed up as Pennywise and skull. It was fun. Thanks for sharing this. The year just started but I am now planning a Halloween party for the whole family. Same with the Dr. Nerium’s Garden of Ghouls, I’ll have the garden setup at 19th century with creatures I invented. Haha. I love Halloween and costumes since I am an artist! 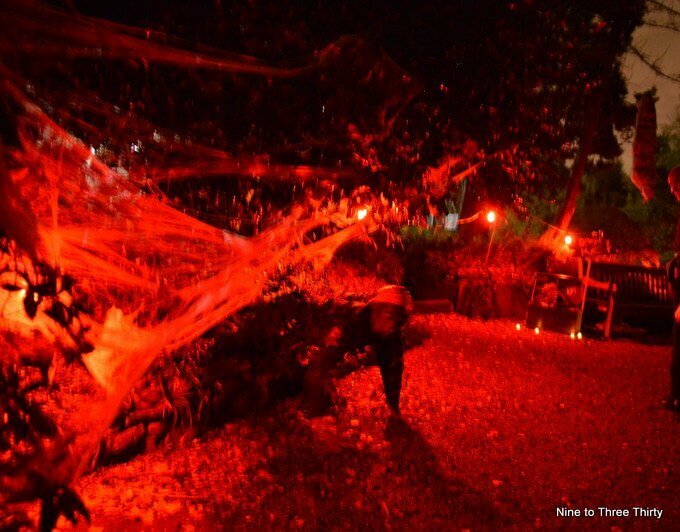 Some great spooky photos there, my kids would love this. It’s still in April but we are now getting our Halloween costumes ready. We love dressing up and I hope that many people love it too!